EV charging and the grid made the headlines again this morning, thanks to some sensible proposals by Ofgem, highlighting grid flexibility and plans to incentivise drivers to charge off-peak. There are currently a number of regulatory nuances that prevent smart charging's full potential being realised, so it’s encouraging to see Ofgem engaging with the challenges and opportunities that enabling smart charging market mechanisms presents. Well of course, this won’t happen literally; even once every car in the country is electric, according to Pod Point home data, EV owners typically charge every third day. But, uncontrolled, charging has the potential to cause grid impacts even at much more modest uptake levels, particularly at the local network level. Natural home charging behaviour tends to exacerbate the early evening peak when networks are most under strain and generation is maximised. As EV uptake starts to climb rapidly through the 2020s it will be imperative to protect networks, whilst ensuring customers aren’t inconvenienced and electricity costs are minimised. So how do we square this circle? 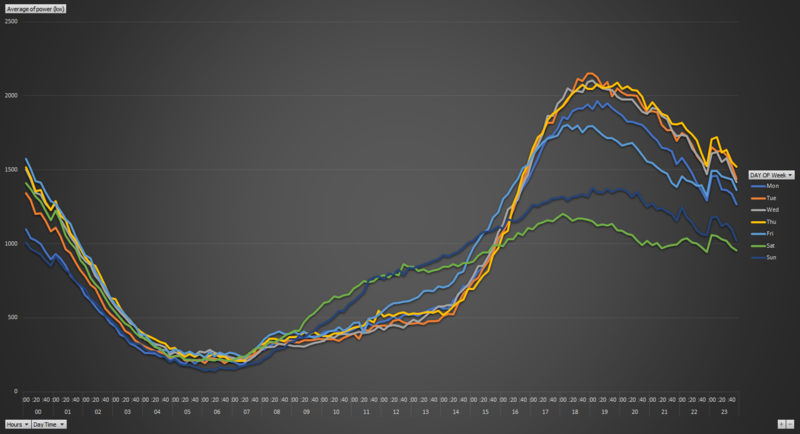 At Pod Point, we’ve done a bit of analysis, taking a month’s amalgamated data to analyse the charging behaviours of over 6,000 of our home charge users for each day of the week. It’s pretty interesting stuff, and throws up some clear and emerging trends. Most people plug in shortly after working hours and charging tends to peak around 8pm, as you can see from the graph below. But, here’s where it gets really interesting. NB: The times on the x-axis are in UTC, so they are 1 hour behind BST. As such the graph runs from 01:00 to 01:00 BST. 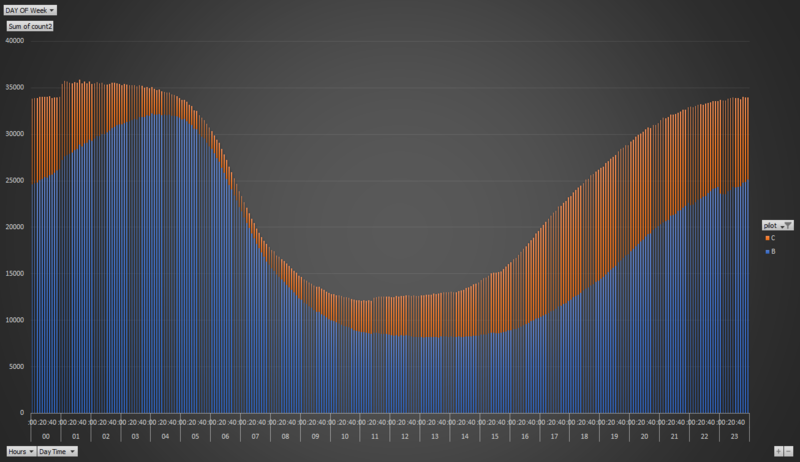 The following graph shows when the same home chargers are plugged in on standby (blue) versus when they are plugged in and actively charging (orange). Looking in detail at our overnight charging data, we can see that chargepoints are actively charging for just 25 percent of the time that they are plugged in. These long, inactive periods support Ofgem’s comments about flexibility within the system. In fact, they go one better - Ofgem estimates 60 per cent more EVs could be charged outside peak times using flexible charging, but our amalgamated data of more than 6,000 drivers suggests the real figure is circa 75 per cent. So Ofgem’s proposals to simply incentivise people to charge at off peak times are hugely sensible. How does smart charging work for a customer? Most cars and some smart chargers allow customers to effortlessly schedule their charging for these low demand (typically overnight) periods. Combining this behaviour with a basic Economy 7 tariff saves many drivers a handsome sum today (you will note the step changes in the first graph at 00:00, 00:30 etc which shows those drivers taking advantage of this offering). One of the key features of smart charging - and the most important for an age in which everyone drives EVs - is that it enables better energy management. The technology means that chargepoint providers can remotely load balance power requirements from the national grid. As the requirements and opportunities relating to smart charging develop, it is likely that chargers will have to get smarter, automatically targeting times of low price and/or low carbon, according to the customers’ preference. Offering these smart features in an intuitive and easy to use way is a key focus of Pod Point’s product focus, but there are a number of regulatory hurdles that would prevent unlocking the real value here and properly incentivising customers. Low demand - and high supply? With more renewables joining the UK grid all the time, we will have times of unusually high supply, so much so that price may trend to £0, or even turn negative (i.e. on particularly windy and sunny days) as grid operators look for a home for their excess generation. This means that as well as defaulting charging away from periods of high demand (e.g. early evening peak), it will become valuable to target charging to happen during these peak supply events. In order to incentivise this more nuance behaviour, effective market mechanisms need to be established and the regulatory frameworks need to be fit for purpose. Pod Point is hugely encouraged to see Ofgem announcing their intention to get the regulatory framework right.